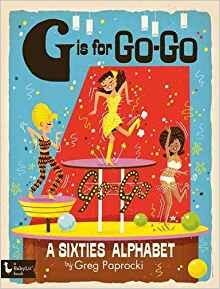 A perfect way to introduce your brilliant babies to the ABCs while teaching them about the 1960s, a decade that saw America experience a fascinating explosion of radical new music, art, and cultural change. This book includes a fun collection of twenty-six illustrations featuring educational concepts for your toddler from the explosive 1960s, the decade the Baby Boomers came of age. Rock and roll, the space race, pop art, divisive wars both hot and cold, psychedelia, and important gains in civil rights framed this exciting era of cultural and social change.